As I reported weeks ago, Danny Ainge and the Boston Celtics are playing with the idea of breaking up the Big 3 of Kevin Garnett, Ray Allen, and Paul Pierce. There are rumors now circulating about All Star point guard Rajon Rondo on the block. My only thinking is Boston must be looking to clear cap space to maybe make a push to acquire Dwight Howard. Rondo is only 26 years old, I can't see Ainge trading him, especially after they dealt Kendrick Perkins last year which destroyed the Celtics interior defense and messed with their chemistry. Late Thursday there were rumors floating around of the New Jersey Nets looking to deal for the super talented but often troublesome Michael Beasley of the Minnesota Timberwolves. With the emergence of rookie Derrick Williams, Minnesota is looking to deal the 23 year old. Beasley is averaging 12.8 points a game this year, much lower than his 15.6 career average. The Washington Wizards are desperately looking to deal Andray Blatche. A multi dimensional big man, who at 6' 11" can pass, dribble, and shoot the rock. I believe he's one of those players that needs a change of scenery. A perfect fit would be a veteran team, somewhere he won't have any pressure every night. This is Blatche's seventh year in lowly Washington. 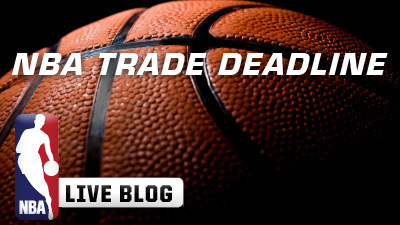 Blatche is owed 23 million after this year which will make it even tougher to trade him. If the Wizards do not find a partner to trade, they could amnesty him. There will be a lot of rumblings in the next few weeks leading up to the March 15th NBA trade deadline. Stay tuned to NBAFrontpage.com for all the latest moves.